Not only is the collection From Dust to Digital: Ten Years of the Endangered Archives Programme a valuable addition to any academic library, it is an important proof of the importance of the funding programme itself. It remains to be hoped that many more collections can be successfully digitised, and that, as envisaged, the images shall be made fully available online. —Eugenia Sokolinski, Comparative Oriental Manuscript Studies Bulletin (Autumn 2015), 140-143. Much of world’s documentary heritage rests in vulnerable, little-known and often inaccessible archives. Many of these archives preserve information that may cast new light on historical phenomena and lead to their reinterpretation. But such rich collections are often at risk of being lost before the history they capture is recorded. 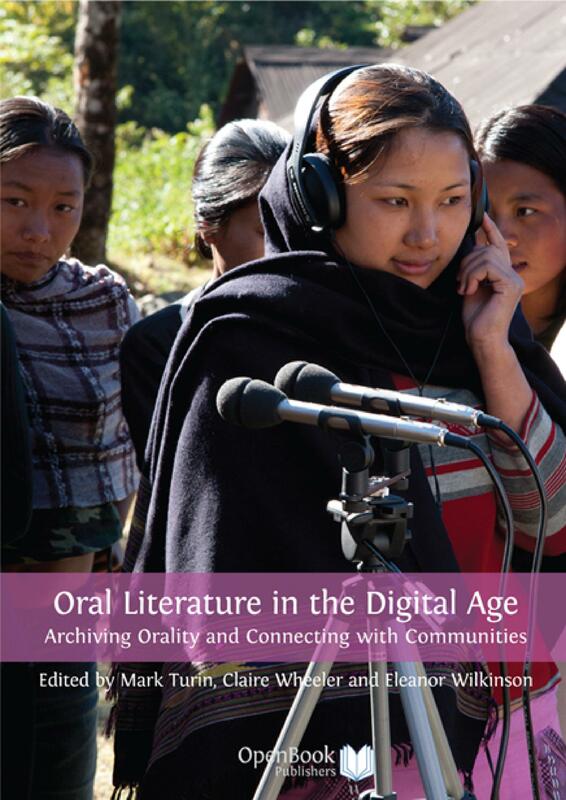 This volume celebrates the tenth anniversary of the Endangered Archives Programme at the British Library, established to document and publish online formerly inaccessible and neglected archives from across the globe. From Dust to Digital showcases the historical significance of the collections identified, catalogued and digitised through the Programme, bringing together articles on 19 of the 244 projects supported since its inception. 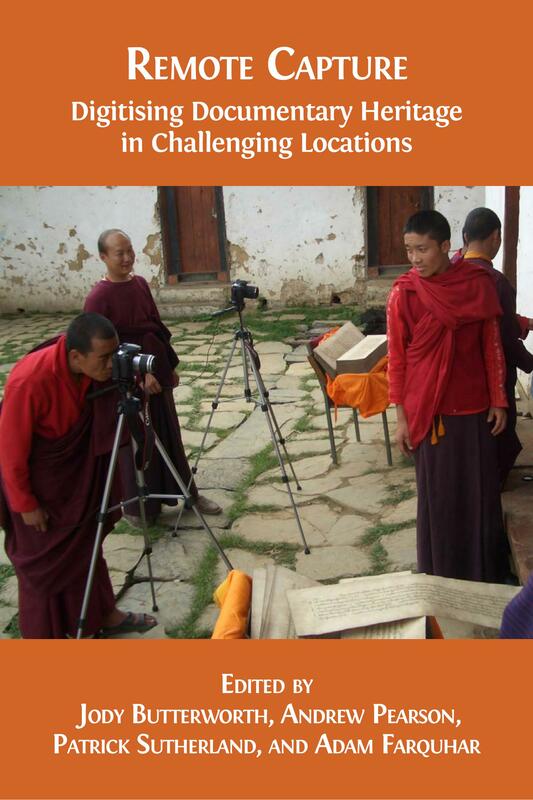 These contributions demonstrate the range of materials documented — including rock inscriptions, manuscripts, archival records, newspapers, photographs and sound archives — and the wide geographical scope of the Programme. Many of the documents are published here for the first time, illustrating the potential these collections have to further our understanding of history. The Endangered Archives Programme website features over four million images from more than 240 projects. You can follow the projects’ progress on the Endangered Archives blog. The PDF and epub editions of this book contain embedded audio files. If your device supports MP3 files you will be able to listen to the music directly. Alternatively, you can access the music online by following the links or scanning the QR codes provided. To read the interactive PDF, we suggest using Adobe Reader (and not Adobe Preview), which can be downloaded for free from the Adobe website. If you are reading on an iphone or ipad, we recommend using iBooks, which is available free of charge from the App Store. The Endangered Archives Programme at the British Library has generously contributed towards the publication of this volume. Qasem Abu Harb is Director of the Archive Centre of the Arab Studies Society in Jerusalem (al-Quds). Ali Ait Kaci has been working as an archaeologist at the National Archaeological Agency of Algeria since 1990. He has directed many excavations in Italy, Tunisia and Morocco. His current research focuses on Libyco-Berber epigraphy. David G. Anderson is professor of anthropology at the University of Aberdeen. He has authored and edited numerous books on Siberia. Peter Baldwin is Co-founder of the Arcadia Fund and the Global Distinguished Professor at New York Untiersity’s Center for European and Mediterranean Studies. His research focuses on the development of the modern state, but also addresses the comparative history of the welfare state, social policy, and public health. Anne K. Bang is Senior Researcher at the Chr. Michelsen Institute and an Associate Professor of African Islamic history at the University of Bergen, Norway. She has published widely on Islam in the Indian Ocean during the nineteenth and twentieth centuries. Mohammed Bashir Salau is Associate Professor of history at the University of Mississippi and author of The West African Slave Plantation: A Case Study. Mikhail Semenovich Batashev is Senior Research Fellow in the Division of Archaeology and Ethnography of the Krasnoyarsk Territory Regional Museum. Stefano Biagetti holds a Marie Curie Intra-European Fellowship in the Department of Humanities, Pompeu Fabra University, where he is conducting research into the resilience of central Saharan pastoralists from historical to current times. Courtney J. Campbell is a Past & Present Postdoctoral Fellow at the Institute of Historical Research at the School of Advanced Study, University of London. Her work focuses on international cultural exchange and regional identity in the Brazilian Northeast. Craig Campbell is Assistant Professor in the Department of Anthropology at the University of Texas at Austin. His book Agitating Images: Photography Against History in Indigenous Siberia was published by the University of Minnesota Press in 2014. Anthea Case is Principal Adviser of the Arcadia Fund and Chair of the National Trust East of England Regional Advisory Board. She was previously Chief Executive of the National Heritage Memorial Fund and Heritage Lottery Fund (1995-2003). She was awarded a CBE in 2003 for services to heritage. Graeme Counsel is a Lecturer in ethnomusicology and an Honorary Fellow of the Melbourne Conservatorium of Music, University of Melbourne. His research specialises in the investigation of cultural policies in Africa, examining the nexus between politics and the arts and exploring the ways in which cultural policies shape cultural expression. Victor Denisov is a linguist specialising in Finno-Ugric Languages. He is a researcher at the Udmurt Institute for History and a member of the Kastren Finno-Ugric Society, Finland. Tjeerd de Graaf has specialised in the phonetic aspects of ethnolinguistics. After retiring from the University of Groningen, he was a visiting professor at the University of St. Petersburg and guest researcher at the Slavic Research Center of Hokkaido University, Japan. He is a research fellow at the Frisian Academy and a board member of the Foundation for Endangered Languages and the Foundation for Siberian Cultures. Savino di Lernia teaches ethnoarchaeology and African archaeology at the Faculty of Letters, Sapienza University of Rome. He is the director of the Archaeological Mission in the Sahara (Tunisia, Algeria, Libya) project. His main interests cover the transitions from hunting and foraging to food production, the development of pastoralism in Northern Africa and the management of cultural heritage in arid regions. Michael Gervers is Professor of History at the University of Toronto and co-founder of Mäzgäbä Səəlat, an on-line corpus of over 65,000 images of Ethiopian art and culture. He publishes in the fields of medieval history, medieval art history and archaeology, and ancient textiles and ethnography. Pablo Gómez is Assistant Professor in the Department of Medical History and the Department of the History of Science at the University of Wisconsin, Madison. His work examines the history of medicine and corporeality in the early modern African and Iberian Atlantic worlds. Kyle Jackson is a Ph.D. candidate and Chancellor’s International Scholar at the University of Warwick’s Centre for the History of Medicine where he is exploring the history of health and religion in colonial Northeast India. Maja Kominko is a historian of late antiquity and Byzantium. Her research focuses on intellectual history. She held postdoctoral and academic positions at the University of York, Princeton University and the University of Oxford. She currently manages the cultural grants portfolio at the Arcadia Fund. Jane Landers is the Gertrude Conaway Vanderbilt Professor of History at Vanderbilt University. Her research focuses on Africans in the Atlantic World. Jane Lewisohn is a graduate of Pahalavi University, Shiraz, Iran. She has been involved in research into and promotion of various aspects of Persian Studies for the last three decades. Since 2005, she has been directing the Golha Project under the auspices of the British Library and the Music Department of SOAS, University of London. Elena Marushiakova (President of the Gypsy Lore Society) and Vesselin Popov have published widely on Roma (Gypsies) in Bulgaria, the Balkans and Eastern Europe. Their publications include Gypsies in the Ottoman Empire (2000) and the first monograph on Roma in Bulgaria (1997). Stephen Morey is Australian Research Council Future Fellow at the Centre for Research on Linguistic Diversity, La Trobe University. He is the author of two books on tribal languages in Assam, including both Tai-Kadai and Tibeto-Burman families. He is the co-Chair of the North East Indian Linguistics Society and has also written on the Aboriginal Languages of Victoria, Australia. is Assistant Professor in the Department of Medical History and the Department of the History of Science at the University of Wisconsin, Madison. 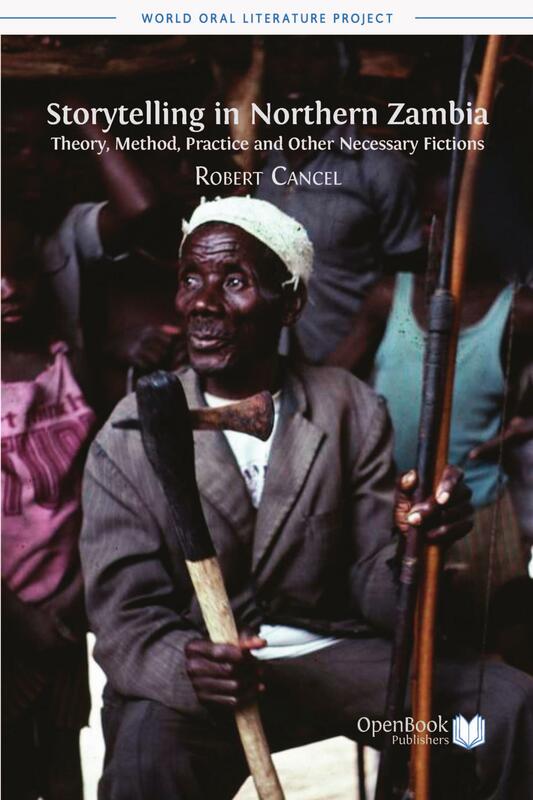 His work examines the history of medicine and corporeality in the early modern African and Iberian Atlantic worlds. Fallou Ngom is Associate Professor of Anthropology and Director of the African Language Program at Boston University. His current research interests include Ajami literatures — records of West African languages written in a modified Arabic script — and the interactions between African languages and non-African languages. Heleen Plaisier has written a comprehensive reference grammar of Lepcha, the language spoken by the indigenous tribal people of Darjeeling, Sikkim and Kalimpong. She is now working on a Lepcha-English dictionary. Irina Podgorny has been a Permanent Research Scholar at the CONICET (Consejo Nacional de Investigaciones Científicas y Técnicas) since 1995. She is also Director of the Archivo Histórico y Fotográfico at the Facultad de Ciencias Naturales y Museo of the Universidad Nacional de la Plata, Buenos Aires. José Trinidad Polo Acuña is Professor of History at the University of Cartagena and Director of the research group "Frontiers, Society and Culture in the Caribbean and Latin America”. Lisbet Rausing is co-founder of Arcadia, holds a doctorate in history from Harvard, and has taught at Harvard University and Imperial College. She currently serves on the advisory boards of the National Library of Israel and the Cambridge Conservation Initiative. Gabriela Ramos is Senior Lecturer in Latin American History at the University of Cambridge and a Fellow of Newnham College, Cambridge. She has published extensively on the history of religion in the Andes, including Death and Conversion in the Andes. Lima and Cuzco, 1532-1670 (2010), winner of the 2011 Howard F. Cline Prize for its contribution to the history of indigenous peoples in Latin America, Conference on Latin American History. Sophie Sarin is a designer who runs a textile and clothing studio in Djenné (www.malimali.org), as well as a hotel built out of mud (www.hoteldjennedjenno.com). Barry Supple is an economic historian. He held academic posts at Harvard Business School and at the Universities of Sussex, Oxford and Cambridge, where he was Professor of Economic History and Master of St. Catharine’s College. Subsequently, he was Director of the Leverhulme Trust (1993-2001). From 2001 to 2007 he acted as principal adviser of the Arcadia Fund. Jacek Tomaszewski is an art historian, conservator, and Lecturer at the Polish Institute of World Art Studies and the Asia and Pacific Museum in Warsaw. His main fields of research are the history of bookbinding, manuscript technology and book conservation. David Zeitlyn is Professor of Social Anthropology at the Institute of Social and Cultural Anthropology, University of Oxford and a Fellow of Wolfson College, Oxford. He has been working in Cameroon since 1985 and has published extensively on various topics including traditional religion, sociolinguistics, kinship and history. © 2015 Maja Kominko. 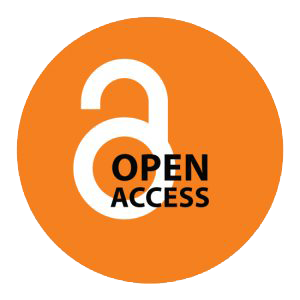 Copyright of individual chapters is maintained by the chapters’ authors. Unless otherwise stated in the List of illustrations or in the List of recordings below, the copyright and Creative Commons licence associated to images, maps, tables and recordings within a chapter is the same as for the associated chapter. 1.1) Map of the Tadrart Acacus and the central Saharan massifs. First published in Stefano Biagetti, Ali Ait Kaci, Lucia Mori and Savino di Lernia, "Writing the Desert: The ‘Tifinagh’ Rock Inscriptions of the Tadrart Acacus (South-West Libya)”, Azania, 47.2 (2012), 153-74 (p. 170). 1.2) Map of the Tadrart Acacus with the sites recorded for the Endangered Archives Programme sorted by significance (adapted from Biagetti et al., 2012). 1.3) An example of Tifinagh inscription, site 09/87B (EAP265/1/87B). Photo by R. Ceccacci, CC BY. 1.4) The Basmala inscription from site 09/67. 1.5) Site 09/73 features the toponym of Teshuinat (TŠWNT). 1.6) Graph illustrating the significance and context of Tifinagh sites. 1.7) 3D view of the aqba of wadi Tasba on the western escarpment of the Tadrart Acacus (map from Google Earth). 1.8) Site 09/74, close to the guelta of wadi Bubu (EAP265/1/74). Photo by R. Ceccacci, CC BY. 1.9) Etaghas Ti-n-Lalan (map from Google Earth, adapted from di Lernia et al., 2012). 1.10) Site 09/73, Ti-n-Anneuin, vandalised in 2009 (EAP265/1/73). Photo by R. Ceccacci, CC BY. 2.1) Iftiqar Rahman photographing the Phe Lung Phe Ban paper manuscript belonging to Hara Phukan. Photo by Poppy Gogoi, CC BY. 2.2) The Phe Lung Phe Ban cloth manuscript belonging to Tileshwar Mohan (EAP373), CC BY. 2.3) The Phe Lung Phe Ban manuscript belonging to Hara Phukan (EAP373), CC BY. 2.4) Folio 33r of the Khun Lung Khun Lai manuscript belonging to Tulsi Phukan (EAP373), CC BY. 2.5) Folio 9r of the Du Kai Seng manuscript belonging to Tileshwar Mohan (EAP373), CC BY. 2.6) A page from one of the Ban Seng manuscripts belonging to Bhim Kanta Phukan (EAP373), CC BY. 2.7) Folio 6v of the Ming Mvng Lung Phai manuscript belonging to Tileshwar Mohan (EAP373), CC BY. 2.8) Folio 1r of a Sai Kai manuscript belonging to Padma Sangbun Phukan (EAP373), CC BY. 2.9) Folio 20v of the Nang Khai manuscript belonging to Baparam Hati Baruah (EAP373), CC BY. 2.10) Folio 3v of the Nang Khai manuscript belonging to Baparam Hati Baruah (EAP373), CC BY. 2.11) Folio 1v of the Bar Amra manuscript belonging to Junaram Sangbun Phukan (EAP373), CC BY. 3.1) Prayers to the Choten. Foning Collection (EAP281/1/9), CC BY. 3.2) Worship of Ekádoshi. Tamyong Collection (EAP281/3/1), CC BY. 3.3) The Legend of the Goddess Queen.Foning Collection (EAP281/1/20), CC BY. 3.4) The Legend of Cenrejú. Foning Collection(EAP281/1/6), CC BY. 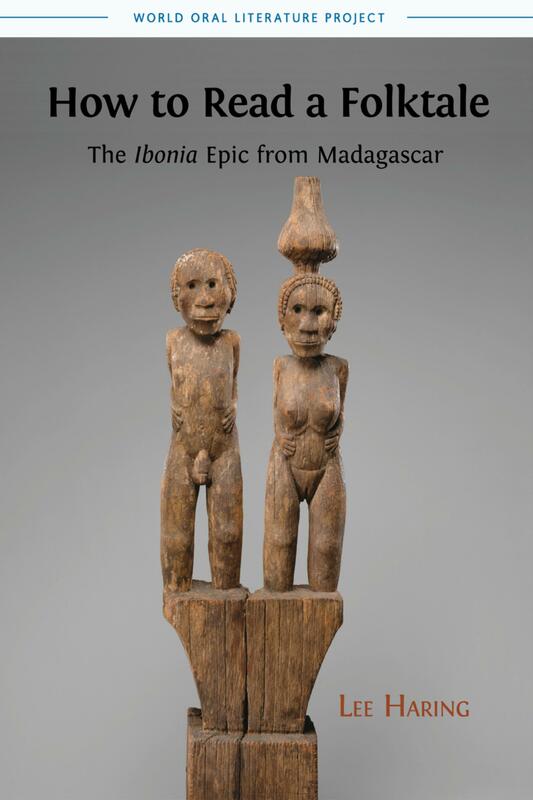 3.5) The Legend of the Goddess Nángse.Foning Collection(EAP281/1/13), CC BY. 3.6) Astrological text. Namchu Collection (EAP281/2/1), CC BY. 3.7) Astrological text. Foning Collection (EAP281/1/10), CC BY. 3.8) Astrological text. Foning Collection (EAP281/1/14), CC BY. 3.9) Parkhó Calculations.Foning Collection (EAP281/1/7), CC BY. 3.10) Astrological text. Dendrúp Adyemnu Collection (EAP281/4/3), CC BY. 4.1) May Wäyni. Treasury building interior with cased manuscripts on pegs. Photo CC BY-NC. 4.2) May Wäyni. Church ambulatory, assembly line set-up. Photo CC BY-NC. 4.3) May Wäyni. Preparing manuscripts in the iqabet for preliminary observation. Photo CC BY-NC. 4.4) May Wäyni. A monk re-stitches a manuscript binding in the church courtyard. Photo CC BY-NC. 4.5) May Wäyni. Particularly vulnerable manuscripts are stored in acid-free cartons. Photo CC BY-NC. 4.6) May Wäyni manuscripts. Examples of minimally-prepared parchment showing (a) hairy surface and (b) gelatinisation (EAP526/1/15 and EAP526/1/44), CC BY-NC. 4.7) May Wäyni manuscript Sәrᶜatä qәddase [Order of the Mass]showing the structure of the semi-translucent parchment with traces of ruling (EAP526/1/90), CC BY-NC. 4.8) May Wäyni manuscript Mälә’әktä Ṗawlos [Letters of Paul] showing extensive water damage (EAP526/1/56), CC BY-NC. 4.9) May Wäyni manuscript Ṣälotä ᶜәṭan [The Prayer of Incense] gnawed by rodents (EAP526/1/62), CC BY-NC. 4.10) May Wäyni manuscript book boards showing various stages of cover deterioration (a (EAP526/1/4) and b (EAP526/1/1), with sewn repairs to c (EAP526/1/19) and d (EAP526/1/4)), CC BY-NC. 4.11) May Wäyni manuscript Arganonä wәddase [The Harp of Praise] by Giyorgis of Sagla showing a variety of threads and cords used to connect the book block to the covers (EAP526/1/23), CC BY-NC. 4.12) May Wäyni manuscript Qeddus Gädlä Gäbrä Manfäs Qeddus [The Life of Gäbrä Manfäs Qeddus] showing sewn repairs to the front book board (EAP526/1/30), CC BY-NC. 4.13) May Wäyni manuscript Mäzmurä Dawit [Psalms of David] showing loose folios held together by stab-stitching (EAP526/1/61), CC BY-NC. 4.14) May Wäyni manuscript Mäshafä Tälmid [The Book of the Disciple] showing the ruptures to the original leather covering around the spine of the volume that provide free access to the lacing holes in the boards, holes made for resewing the book (EAP526/1/45), CC BY-NC. 4.15) May Wäyni manuscript Dәrsanä Mikaᵓel [Homily in Honour of the Archangel Michael]. Full-page miniatures (EAP526/1/7), CC BY-NC. 4.16) A rare fifteenth-century illumination of the Virgin and Child bound between folios 171 and 172 of a seventeenth-century copy of Täᵓammәrä Maryam [The Miracles of Mary] (EAP526/1/41), CC BY-NC. 4.17) Drawing of a combined quire structure. 4.18) May Wäyni manuscript Orit [Octateuch] and Mäṣḥafä kufale [The Book of Jubilees] showing low-quality folios used as protective flyleaves (EAP526/1/3), CC BY-NC. 4.19) Drawing showing the distribution of flyleaf arrangements in the May Wäyni collection. 4.20) May Wäyni manuscript showing straight long stitches on the spine (EAP526/1/89), CC BY-NC. 4.21) May Wäyni manuscript Dәrsanä Mikaᵓel [Homily in Honour of the Archangel Michael] showing spine lining with a wide strip of leather (EAP526/1/7), CC BY-NC. 4.22) May Wäyni manuscript Dәrsanä arba‘әtu әnsәsa [Homily on the Four Celestial Creatures] showing the endband made of a folded strip of leather (EAP526/1/29), CC BY-NC. 4.23) Different types of textiles used as lining for the inner side of the manuscript bindings: (a) Indian plain-weave, shuttle-woven fabric (?) – with "buta” (Persian) or "boteh” (Indian) motif (EAP526/1/18); (b) six narrow strips of plain-weave fabric each with both selvedges (EAP526/1/48); (c) tapestry, plain-weave fabric (EAP526/1/37); (d) Indian Masulipatam plain-weave fabric, block-printed (EAP526/1/43), CC BY-NC. 4.24) Set of iron tools for decorating bindings, CC BY-NC. 4.25) Tools found on bindings in May Wäyni collection. Straight lines: triple (1- EAP526/1/26), double (2- EAP526/1/37), single (3- EAP526/1/39). Circles: single (4- EAP526/1/4 [Ø≈5 mm]), double (5- EAP526/1/18 [Ø≈5 mm]). Corni-form (6- EAP526/1/4 [18 × 8mm], 7- EAP526/1/44 [17 × 8 mm). V-form: dotted (8- EAP526/1/11 [5 × 10mm], triple lines (9- EAP526/1/24 [9 × 12 mm]). Almond form: ‘mother of water’ (10- EAP526/1/4 [7 × 10 mm]), ’palm shape’ (11- EAP526/1/5 [13 × 6 mm], 12- EAP526/1/49 [12 × 6mm]). Diagonal cross: 13- EAP526/1/17 [7 × 7 mm], 14- EAP526/1/11 [8 ×8mm], 15- EAP526/1/5 [10 × 10 mm], 16- EAP526/1/4 [9 × 9 mm], 17- EAP526/1/18 [7 × 7 mm], 18- EAP526/1/87 [9 × 9 mm], 19- EAP526/1/48 [8 × 8 mm], 20- EAP526/1/42 [12 × 12 mm], 21- EAP526/1/11 [8 × 10 mm]. Criss-cross: 22- EAP526/1/7 [4 × 6 mm], 23- EAP526/1/26 [9 × 10 mm], 24- EAP526/1/15 [8 × 8 mm], 25- EAP526/1/18 [9 × 9 mm], 26- EAP526/1/49 [7 × 9 mm], 27- EAP526/1/5 [9 × 10 mm]; 28- EAP526/1/66 [8 × 8 mm]. Grid pattern: 29- EAP526/1/24 [7 × 13 mm], 30- EAP526/1/4 [10 × 15 mm], 31- EAP526/1/41 [12 × 12 mm]. Straight strapwork elements: 32- EAP526/1/3 [5 × 11 mm], 33- EAP526/1/18 [6 × 9 mm].Wavy lines: 34- EAP526/1/3 [5 × 14 mm], 35- EAP526/1/26 [6 × 15 mm], 36- EAP526/1/1 [4 × 10 mm]. Curve strapwork elements or ‘wave form’: 37- EAP526/1/13 [8 × 10 mm], 38- EAP526/1/15 [6 × 10 mm], 39- EAP526/1/18 [9 × 10 mm], 40- EAP526/1/49 [7 × 10 mm], 41- EAP526/1/22 [9 × 10 mm], 42- EAP526/1/31 [9 × 10 mm], 43- EAP526/1/22 [6 × 10 mm], 44- EAP526/1/41 [7 × 10 mm], 45- EAP526/1/41 [7 × 10 mm]. Rosette motives: 46- EAP526/1/25 [8 × 8 mm], 47- EAP526/1/31 [7 × 7 mm], 48- EAP526/1/46 [7 × 7 mm]. All images CC BY-NC. 4.26) Decorative tooling on the central panels of the leather covering of four manuscripts from May Wäyni (a (EAP526/1/4), b (EAP526/1/16), c (EAP526/1/7), d (EAP526/1/31)), CC BY-NC. 4.27) May Wäyni manuscript Zena Sәlase [Narrative Teaching on the Holy Trinity]. Tooled leather binding (EAP526/1/73), CC BY-NC. 4.28) Tooled leather decoration on the spines of manuscripts (from left to right: EAP526/1/31, EAP526/1/22, EAP526/1/44), CC BY-NC. 4.29) May Wäyni manuscript Gädlä Ṗeṭros zä-Däbrä Abbay [Acts of Petros of Däbrä Abbay] showing decoration of the inner side of the cover (EAP526/1/65), CC BY-NC. 4.30) May Wäyni manuscript showing tooled decoration on the edges of the covers (EAP526/1/52), CC BY-NC. 5.1) First page of Sharḥ Tarbiyyat al-aṭfāl by Muḥyī al-Dīn al-Qaḥṭānī (d. Zanzibar, 1869). Possibly in the author’s own hand (EAP466/1/38, image 3), CC BY-ND. 5.2) Wiṣayāt Aḥmad b. Abī Bakr b. Sumayṭ ilā ʿAbd Allāh BāKathīr. Spiritual testament from the Zanzibari Sufi shaykh Aḥmad b. Sumayṭ (d. 1925) to his friend and disciple ʿAbd Allāh Bā Kathīr (d. 1925), dated 1337H/1918-1919. Possibly in the author’s own hand (EAP466/1/99, image 2), CC BY-ND. 5.3) Example of late waqf donation "for the benefit of Muslims”. Notebook with compilation of prayers and adhkār (Sufi texts for recitation) (EAP/1/106, image 2), CC BY-ND. 5.4) Al-Fawāʾid al-Saniyya fī dhikr faḍāʾil man yantasibu ilā al-silsila al-nabawiyya [The Benefits of Remembering the Virtues of those Belonging to the Prophetic Lineage], by Aḥmad b. Ḥasan b. ʿAbd Allāh b. ʿAlawī, d. 1203/1788-1789 in Ḥaḍramawt. The inscriptions show the travelling of this particular manuscript, first given as a gift in 1891-1892 and then again in Batavia (Jakarta) in 1946-1947 (EAP466/1/29, image 4), CC BY-ND. 5.5) Al-Fawāʾid al-Saniyya fī dhikr faḍāʾil man yantasibu ilā al-silsila al-nabawiyya, by Aḥmad b. Ḥasan b. ʿAbd Allāh b. ʿAlawī (d. 1203/1788-1789 in Ḥaḍramawt) (EAP466/1/29, image 6), CC BY-ND. 5.6) Example of local copying in the nineteenth century. Alfyya [The One Thousand, verse of 1000 lines] with marginal commentary by Ibn ʿAqīl copied by Shārū b. ʿUthmān b. Abī Bakr b.ʿAlī al-Sūmālī in 1858 (EAP466/1/15, image 574), CC BY-ND. 5.7) Diwān al-ʿAdanī [The Collected Poetry of Abū Bakr al-ʿAdanī], copied by Sālim b. Yusallim b. ʿAwaḍ Bā Ṣafar for Habib Saleh in 1927  (EAP466/1/19, image 2), CC BY-ND. 5.8) Diwān al-ʿAdanī [The Collected Poetry of Abū Bakr al-ʿAdanī], copied by Sālim b. Yusallim b. ʿAwaḍ Bā Ṣafar for Habib Saleh in 1927  (EAP466/1/19, image 3), CC BY-ND. 5.9) Colophon showing the signature of copyist Muḥammad b. Abī Bakr al-Bakrī Kijūma and the date 18 Jumāda II 1352H/8 October 1928. (EAP466/1/58, image 310), CC BY-ND. 6.1) Façade of Djenné library. Photo by author, CC BY. 6.2) Tārīkh al-Sudan [History of the Sudan] manuscript in the library’s collection. Photo by author, CC BY. 6.3) Manuscripts storage chest in one of the houses in Djenné. Photo by author, CC BY. 6.4) Prayers to the Prophet from the Maiga family collection. Photo by author, CC BY. 6.5) Two manuscript storage boxes made for the library. Photo by author, CC BY. 7.1) Stamp of the Egyptian Nation organisation, Public Domain. 7.2) Shakir Pashov as a soldier (EAP067/1/2/4, image 4), Public Domain. 7.3) Roma youth preparing a sample of the future alphabet (EAP067/8/1/16), Public Domain. 7.4) Shakir Pashov (centre) as a Member of Parliament with voters (EAP067/1/1/14), Public Domain. 7.5) Shakir Pashov (centre) with participants at the national conference of the Ekhipe (EAP067/1/1/1), Public Domain. 7.6) Shakir Pashov with his wife in Rogozina (EAP067/1/1/13), Orphan Work. 7.7) Shakir Pashov as an honoured pensioner (EAP067/1/2/5), Orphan Work. 7.8) Shakir Pashov’s card identifying him as an "active fighter against fascism and capitalism” (EAP067/1/8), Public Domain. 7.9) Obituary commemorating the six-month anniversary of Shakir Pashov’s death (EAP067/1/9, image 2), Public Domain. 7.10) Obituary commemorating the first full anniversary of Shakir Pashov’s death (EAP067/1/9, image 3), Public Domain. 8.1) Map of the Valley of Canta, Peru, by Évelyne Mesclier, CC BY. 8.2) Cover page of the records of the petition to close down the parish of Pariamarca in the corregimiento of Canta, 1650 (EAP333/1/3/11 image 1), Public Domain. 8.3) In this letter, Don Gerónimo de Salazar y Salcedo, parish priest of San Antonio de Pariamarca, explains that because of the fire that destroyed the textile mill of Pariamarca, he requested the closing down of the doctrina. Lima, 11 October 1651 (EAP333/1/3/11 image 46), Public Domain. 8.4) Register of the inhabitants (men, women and youth) of the doctrina of San Antonio de Pariamarca, 1650 (EAP333/1/3/11 image 23), Public Domain. 8.5) In this letter, the protector of the Indians, don Francisco Valençuela, states that the priest of Pariamarca’s salary cannot be paid with the proceeds of the Indians’ assets. Lima, c. 1651 (EAP333/1/3/11 image 54), Public Domain. 8.6) Sample page of the census conducted in 1653 by Juan de Escalante y Mendoza showing part of the headcount of the ayllu (kin group) Julcan Yumay (EAP333/1/3/11 image 107), Public Domain. 8.7) Sample page of the census conducted in 1653 by Juan de Escalante y Mendoza, showing part of the headcount of the ayllu Allauca Pacha (EAP333/1/3/11 image 113), Public Domain. 8.8) Sample page of the census conducted in 1653 by Juan de Escalante y Mendoza showing part of the headcount of reservados, adult men and women who because of their occupation, age or health were exempted from paying tribute (EAP333/1/3/11 image 106), Public Domain. 8.9) Cultivated fields in Pariamarca, August 2014. Photo by Évelyne Mesclier, CC BY. 8.10) A street in Pariamarca, August 2014. Photo by Évelyne Mesclier, CC BY. 8.11) A view of the town and valley of Canta, August 2014. Photo by Évelyne Mesclier, CC BY. 9.1) Map of Pacific and Caribbean Colombia, by James R. Landers, CC BY-NC-ND. 9.2) The Quibdó team examines a notarial register at the EAP workshop. Photo by David LaFevor, CC BY. 9.3) Notarial Document from Quibdó (EAP255/2). Photo by Quibdó team member, CC BY-NC-ND. 9.4) Project directors and University of Cartagena student team at EAP workshop. Photo by Mabel Vergel, CC BY-NC-ND. 9.5) Endangered ecclesiastical records from the Iglesia de Santa Cruz de Lorica, Córdoba. Photo by Cartagena team member, CC BY-NC-ND. 9.6) Students learn to film endangered records at Vanderbilt’s digital workshop at the University of Cartagena. Photo by David LaFevor, CC BY. 9.7) Cathedral of San Jerónimo de Buenavista, Montería, Córdoba. Photo by Mabel Vergel, CC BY-NC-ND. 9.8) Baptism document of Maria Olalla, San Jerónimo de Buenavista Cathedral, Montería, Córdoba (EAP640). Photo by Cartagena team member, CC BY-NC-ND. 9.9) Nova et Accurata Brasiliae Totius Tabula made in 1640 by Joan Blaeu. Note the Capitania de Paraiba, highlighted on the northeastern coast. Ministério das Relações Exteriores do Brasil, Public Domain (http://commons.wikimedia.org/wiki/File:Blaeu1640.jpg). 9.10) Map of Paraíba, highlighting São João do Cariri in the interior and João Pessoa on the coast, created by Courtney J. Campbell, CC BY-NC-ND. 9.11) Students from the Universidade Federal da Paraíba filming ecclesiastical records from Nossa Senhora dos Milagres do São João do Cariri (EAP627). Photo by Tara LaFevor, CC BY. 9.12) Sesmaria (land grant) document from Paraíba (EAP627). Photo by Courtney J. Campbell, CC BY-NC-ND. 9.13) Sesmaria document from Paraíba (EAP627). Photo by Paraíba team member, CC BY-NC-ND. 9.14) Nossa Senhora dos Milagres do São João do Cariri Church (EAP627). Photo by David LaFevor, CC BY. 9.15) Book of Baptisms, Marriages and Deaths, 1752-1808, from Paróquia de Nossa Senhora dos Milagres do São João do Cariri Paraíba (EAP627). Photo by Paraíba team member, CC BY-NC-ND. 9.16) Book of Baptisms, Marriages and Deaths, 1752-1808, from Paróquia de Nossa Senhora dos Milagres do São João do Cariri Paraíba (EAP627). Photo by Paraíba team member, CC BY-NC-ND. 10.1) Kitāb tārīkh Zazzau [A History of Zazzu or Zaria Emirate] by B. Ulama-i, 1924. Digitised handwritten Arabic document (EAP535/1/2/3/2, image 2), Public Domain. 10.2) Digitised original file description written in English on an Arabic document by Sultan Muhammad Bello, n.d. (probably 1954-1966). The National Archives, Kaduna (EAP535/1/2/3/3, image 2), Public Domain. 10.3) A Guide to Understanding Certain Aspects of Islam, by Sultan Muhammad Bello, 1809. The National Archives, Kaduna (EAP535/1/2/3/3, image 3), Public Domain. 10.4) Waqar jami-yah by Sheikh Ahmadu ti-la ibn Abdullahi, n.d. (EAP535/1/2/19/20, image 2), Public Domain. 10.5) Report on the annual inspection of Zungeru prison by Lieutenant Colonel Hasler, 1906  (EAP535/2/2/5/4, image 7), Public Domain. 10.6) Report on the annual inspection of Zungeru prison by Lieutenant Colonel Hasler, 1906  (EAP535/2/2/5/4, image 5), Public Domain. 10.7) Report on Bornu Province prisons by W. P. Hewby, 1906  (EAP535/2/2/5/16, image 53), Public Domain. 10.8) Report on Bornu Province prisons by W. P. Hewby, 1906  (EAP535/2/2/5/16, image 54), Public Domain. 10.9) Document from the Niger Province annual report on cotton production for 1911 by Major W. Hamilton Browne, 1912 (EAP535/2/2/11/18, image 58), Public Domain. 10.10) Report on the unsatisfactory conduct of the Maaji of Zaria by the District Officer in charge of the Zaria Emirate, Y. Kirkpatrick, to the Resident of Zaria Province, 1921  (EAP535/2/3/6/18, image 20), Public Domain. 10.11) Report on the unsatisfactory conduct of the Maaji of Zaria by the District Officer in charge of the Zaria Emirate, Y. Kirkpatrick, to the Resident of Zaria Province, 1921  (EAP535/2/3/6/18, image 21), Public Domain. 10.12) Report on the unsatisfactory conduct of the Maaji of Zaria by the District Officer in charge of the Zaria Emirate, Y. Kirkpatrick, to the Resident of Zaria Province, 1921  (EAP535/2/3/6/18, image 22), Public Domain. 10.13) Document from "Report September quarter 1911-Kabba Province” concerning constraints on crop cultivation by J. A. Ley Greeves, 1912 (EAP535/2/2/10/32, image 21), Public Domain. 11.1) Picture of Ahmadou Bamba taken during the 2012 Màggal, the yearly celebration of his arrest in 1895. The Arabic verses read as follows: "My intention on this day is to thank You, God; O You, the only one I implore, The Lord of the Throne”. 11.2) Mbaye Nguirane reading an Ajami excerpt of one of Moussa Ka’s poems during an interview with Fallou Ngom on 11 June 2011. Born in 1940 in Diourbel, Senegal, Nguirane is a leading specialist in Sufism, a historian and a public speaker. 11.3) This image is the last page of Moukhtar Ndong’s Ajami healing and protection manual, Manāficul Muslim (EAP334/12/2, image 19), CC BY. 11.4) "In the Name of Your Quills and Ink” by the master poet and social critic, Mbaye Diakhaté, written between 1902 and 1954 (EAP334/4/2, image 46), CC BY. 11.5) A page from Habibou Rassoulou Sy’s Lawtanuk Barka [Flourishing of Baraka], a genealogy book of the family of Boroom Tuubaa (Ahmadou Bamba). Bamba is located in the circle in bold (EAP334/12/1, image 6), CC BY. 11.6) A work of Ajami art displaying a key Murid maxim: "Loo yootu jàpp ko (Seize whatever you reach)” inMbaye Diakhaté’s "Yow miy Murid, Seetal Ayib yi La Wër [You, the Murid, Beware of the Challenges Surrounding You]” (EAP334/8/1, image 29). 11.7) Photo of a shopkeeper’s Ajami advertisement in Diourbel, the heartland of Muridiyya, taken in June 2009. The Ajami text reads as follows: "Fii dañu fiy wecciku ay Qasā’id aki band(u) ak kayiti kaamil aki daa” [Poems, audiocassettes, Quran-copying quality paper and ink are sold here]”. The word TIGO refers to a local mobile phone company. 11.8) A mill owner’s advertisement for grinding grains, including peanuts. The Ajami text reads as follows: "Ku bëgg wàllu wàlla soqlu wàlla tigadege wàlla nooflaay; kaay fii la. Waa Kër Xaadimu Rasuul [If you want (your grains) pounded or grinded or peanut butter effortlessly; come here. The People of The Servant of the Prophet (Ahmadou Bamba)]”. Photo taken in Diourbel in June 2009. 11.9) Shopping for Ajami materials in Touba, Senegal during the 2012 Màggal. 11.10) Shopping for Ajami materials and Murid paraphernalia in Touba,Senegal, 12 July 2014. 11.11) An advertisement in Ajami for the mobile phone company Orange in a suburb of the Murid holy city of Touba, 12 July 2014. 11.12) A public announcement in Ajami and six foreign languages asking pilgrims who attended the 2011 Màggal to turn off their mobile phones when entering the Great Mosque of Touba where Ahmadou Bamba is buried, 11 January 2011. 12.1) Front page of al-Jāmiʿah al-Islāmīyah [Islamic Union] newspaper, 27 July 1937 (EAP119/1/12/480, image 1), CC BY. 12.2) Front page of al-Liwāʾ [The Flag] newspaper, 16 December 1935 (EAP119/1/17/2, image 1), CC BY. 12.3) Front page of Miraʾat al-Sharq [The Mirror of the East] newspaper, on the Balfour Declaration, 2 November 1917 (EAP119/1/24/1, image 1), CC BY. 12.4) Front page of al-Jāmiʿah al-ʿArabīyah [TheArab League] newspaper, on the Buraq uprising, 16 October 1929 (EAP119/1/13/260, image 1), CC BY. 12.5) Page three of al-Jāmiʿah al-ʿArabīyah [The Arab League] newspaper, on al-Qassam unrest, 22 November 1935 (EAP119/1/13/1504, image 3), CC BY. 12.6) Front page of al-Iqdām [The Courage] newspaper, on political parties, 30 March 1935 (EAP119/1/23/34, image 1), CC BY. 12.7) Front page of al-Difāʿ [The Defence] newspaper, on the great strike of 1936, 17 June 1936 (EAP119/1/21/169, image 1), CC BY. 12.8) Page three of al-Jāmiʿah al-ʿArabīyah [The Arab League] newspaper, on the Palestinian press under the Mandate, 3 April 1930 (EAP119/1/13/338, image 3), CC BY. 12.9) Damaged page of Filasṭīn [Palestine] newspaper, 30 December 1947 (EAP119/1/22/1802, image 1), CC BY. 12.10) Damaged paper of Bāb sharḥ al-shamsīyah, work on logic, 1389 CE (EAP399/1/23, image 4), CC BY. 12.11) Ashraf al-Wasāʾil, biography of the Prophet, 1566 CE (EAP399/1/12, image 4), CC BY. 12.12) Khāliṣ al-talkhīṣ, on the Arabic language, seventeenth century CE (EAP399/1/42, image 5), CC BY. 12.13) al-Wasīlah fī al-Ḥisāb, on mathematics, 1412 CE (EAP399/1/14, image 18), CC BY. 12.14) Taṣrīf al-Šāfiyah, on the Arabic language, 1345 CE (EAP399/1/34, image 85), CC BY. 12.15) al-Rawḍah, on jurisprudence and matters of doctrine, 1329 CE (EAP521/1/90, image 4), CC BY. 12.16) Maʿālim al-Tanzīl, exegesis, 1437 CE (EAP521/1/6, image 3), CC BY. 12.17) Ṭabaqāt al-Shāfiʿīyah, on history, 1542 CE (EAP521/1/26, image 33), CC BY. 12.18) al-Nawādir al-Sulṭānīyah, on the history and biography of Salaḥ al-Dīn al-Ayyūbī, 1228 CE (EAP521/1/24, image 29), CC BY. 13.1) Carte-de-visite from Bernabé Mendizábal to Mr. Comendador Dr. Guido Bennati (EAP207/6/1, images 27 and 28), Public Domain. 13.2) Itineraries of Guido Bennati in South America. Map by Samanta Faiad, Dept. Ilustración Científica del Museo de La Plata, CC BY. 13.3) Museo de La Plata, c. 1890 (Anales del Museo de La Plata, 1890), Public Domain. 13.4) Carte-de-visite from Michel-Aimé Pouget (EAP207/6/1, images 29 and 30), Public Domain. 13.5) "Souvenirs of Bolivia” (from La Ilustración Española y Americana, 43 (November 22, 1877), p. 316). © CSIC, Centro de Ciencias Humanas y Sociales, Biblioteca Tomás Navarro Tomás, all rights reserved. 13.6) "The Ruins of Pumapungu”, view to the southwest. © Stübel’s Collections, Leibniz-Institut für Länderkunde, Leipzig, all rights reserved. 13.7) "The church of Tiahuanaco”. © Stübel’s Collections, Leibniz-Institut für Länderkunde, Leipzig, all rights reserved. 14.1) Mission Veng Church, c. 1913-1919, Mizoram Presbyterian Church Synod Archive, Aijal, Mizoram, India. 14.2) Challiana, seated second from right, with F. W. Savidge, seated second from left, and others, n.d., British Library (EAP454/16/1), CC BY. 14.3) Wedding at Mission Veng Church, n.d., British Library (EAP454/12/1 Pt 2), CC BY. 14.4) Church leaders at Mission Veng Church, 1919, British Library (EAP454/13/22), CC BY. 14.5) Liangkhaia at Mission Veng Church, 1919, British Library (EAP454/13/22), CC BY. 14.6) Suaka Lal, Veli and Chhingtei at Durtlang, 1938, British Library (EAP454/3/3 Pt 2), CC BY. 14.7) "Wives of the Soldiers in Lungleh”, c. 1938, loose photo in J. H. Lorrain’s file, BMS Acc. 250, Angus Library and Archive, Regent’s Park College, Oxford. 14.8) "Some of the mothers who live in Lungleh”, c. 1938, loose photo in J. H. Lorrain’s file, BMS Acc. 250, Angus Library and Archive, Regent’s Park College, Oxford. 14.9) Two Mizo nurses in Serkawn, c. 1924, British Library (EAP454/6/1), CC BY. 15.1) Baluev writing in his journal in Dudinka, 1938. © Krasnoyarsk Museum, Siberia (KKKM 3604), all rights reserved. 15.2) Map of the Evenki National District. Photo by I. I. Baluev (EAP016/4/1/223). © Krasnoyarsk Museum, Siberia, all rights reserved. 15.3) The first camp after crossing the border between Taimyr and Evenkia with all three expedition members: Baluev, Dolgikh and Strulev. © Krasnoyarsk Museum, Siberia (KKKM 3683), all rights reserved. 15.4) Stakhanovite hunter, Stepan N. Pankagir, on the hunt for squirrels. Uchug, Evenki National District, 17 January 1939 (EAP016/4/1/1264). © Krasnoyarsk Museum, Siberia, all rights reserved. 15.5) Prize-winning hunter Ivan K. Solov’ev (a Yakut) shows his award to his wife. Next to her is V. V. Antsiferov. Kamen’ Factory, 7 November 1938 (EAP016/4/1/1913). © Krasnoyarsk Museum, Siberia, all rights reserved. 15.6) Female hunters. From the left, Mariia L. Mukto and Mariia F. Chapogir hunting for squirrels in the forest. Evenki National District, 1939 (EAP016/4/1/1323). © Krasnoyarsk Museum, Siberia, all rights reserved. 15.7) Icefishing with reindeer fat. Evenki National District, 1939. © Krasnoyarsk Museum, Siberia (KKKM 3684), all rights reserved. 15.8) Geography lesson in grade seven at the Russian School. Evenkii National District, Tura Settlement, January 1939 (EAP016/4/1/1546). © Krasnoyarsk Museum, Siberia, all rights reserved. 15.9) The Yakut Nikolai N. Botulu (Katykhinskii) with a polar fox caught in the jaws of a trap. He was from Ezhova, Taimyr National District, but his traps were located in the Evenki National District, 1938 (EAP016/4/1/315). © Krasnoyarsk Museum, Siberia, all rights reserved. 15.10) Krasnoyarsk krai forest on the border of the Evenki National District, Boguchansk Region, February 1939 (EAP016/4/1/1646). © Krasnoyarsk Museum, Siberia, all rights reserved. 15.11) Three modes of transport: reindeer, sleigh and truck. Evenki National District, Tura, 1939. © Krasnoyarsk Museum, Siberia (KKKM 3767), all rights reserved. 15.12) Evenki hunter Danil V. Miroshko trading furs. The head of the exchange is Luka Pavlovich Shcherbakov. Tura, January 1939. © Krasnoyarsk Museum, Siberia (KKKM 3822), all rights reserved. 15.13) A reindeer herd with herder from the Reindeer Sovkhoz (state farm), NKZ. Evenki National District, February 1939 (EAP016/4/1/1341). © Krasnoyarsk Museum, Siberia, all rights reserved. 15.14) Headquarters for the Reindeer Sovkhoz (state farm), NKZ. A chum (conical tent) is in the foreground, a new home for Evenki labourers in the background. © Krasnoyarsk Museum, Siberia (KKKM 3706), all rights reserved. 15.15) Yakut tent in Tura in the winter. Evenki National District, Tura settlement, January 1939 (EAP016/4/1/1556). © Krasnoyarsk Museum, Siberia, all rights reserved. 15.16) New Year’s tree celebration at the secondary school. © Krasnoyarsk Museum, Siberia, (KKKM 3759), all rights reserved. 15.17) Children performing exercises under a portrait of Stalin (a small portrait of the assassinated Bolshevik leader, Sergei Kirov, is behind the teacher’s head) (EAP016/4/1/1246). © Krasnoyarsk Museum, Siberia, all rights reserved. 16.1) Jacques Toussele with a plate camera in 1965. © Jacques Toussele, CC BY-NC-ND. 16.2) Jacques Toussele in 2001. Photo by author, CC BY-NC-ND. 16.3) The studio in 1973 (EAP054/1/123/56). © Jacques Toussele, CC BY-NC-ND. 16.4) The studio building in 2006. Photo by author, CC BY-NC-ND. 16.5) A street seller (EAP054/1/54/58). © Jacques Toussele, CC BY-NC-ND. 16.6) Portrait for an ID card (EAP054/1/94/167). © Jacques Toussele, CC BY-NC-ND. 16.7) Portrait of an elderly man with spear and pipe (EAP054/1/68/125). © Jacques Toussele, CC BY-NC-ND. 16.8) Portrait for an ID card (EAP054/1/177/24). © Jacques Toussele, CC BY-NC-ND. 16.9) Portraits for school ID cards. Double exposure on a single negative (EAP054/1/52/144). © Jacques Toussele, CC BY-NC-ND. 16.10) A photocopy of a print of a man standing, showing how the original negative was cropped (EAP054/1/4/145). © Jacques Toussele, CC BY-NC-ND. 16.11) Original negative for the print shown in Fig. 16.10 (EAP054/1/50/562). © Jacques Toussele, CC BY-NC-ND. 16.12) Baptism. Damaged negative (EAP054/1/44/45). © Jacques Toussele, CC BY-NC-ND. 16.13) Negatives before scanning. Photo by author, CC BY-NC-ND. 16.14) The documentary team at work in Mbouda. Photo by author, CC BY-NC-ND. 17.1) The logo of the Syliphone recording company. © Editions Syliphone, Conakry, under license from Syllart Records/Sterns Music, CC BY. 17.2) Bembeya Jazz National, Regard sur le passé (Syliphone, SLP 10, c. 1969). The photo depicts Samory Touré, grandfather of President Sékou Touré, who led the insurgency against French rule in the late nineteenth century. 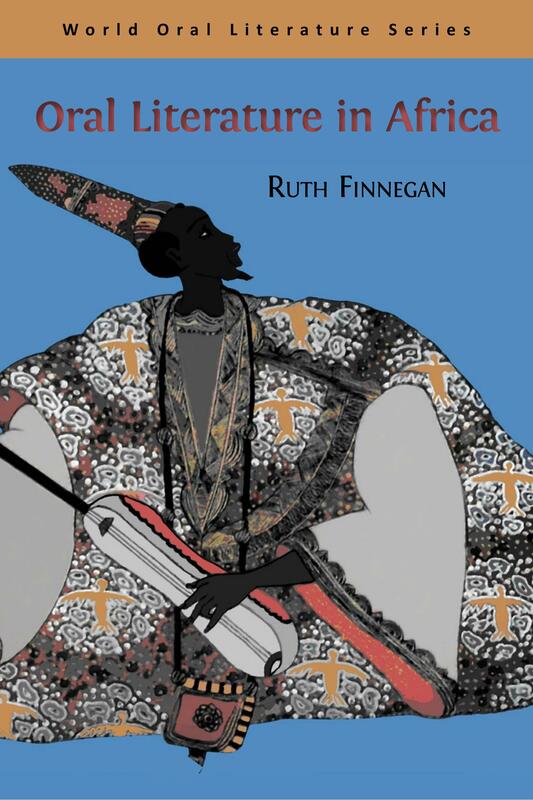 The orchestra’s version of the epic narrative in honour of his life earned them great acclaim; when it was performed at the First Pan-African Cultural Festival, held in Algiers in 1969, it won Guinea a silver medal. © Editions Syliphone, Conakry, under license from Syllart Records/Sterns Music, CC BY.